When you were little did you like to think about monsters, thunderstorms, or sharks in the ocean? Unpleasant things are unpleasant to think about. But unlike the boogeyman, falls are a real occurrence and considering your risk for a fall now can save you from one big nightmare later on. 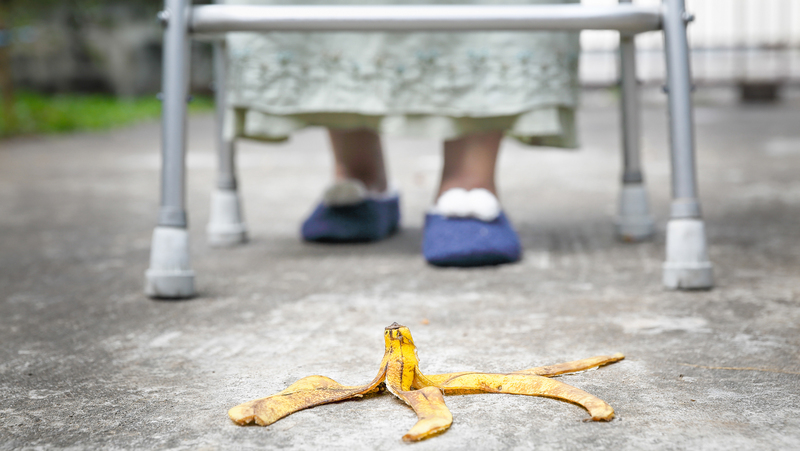 Below we discuss three main factors that can substantially increase your risk for falls. Assess your risk now and keep a potential fall from happening. Multiple medications lead to massive instability. Sedatives and antidepressants can be culprits as well as seemingly innocent over the counter medications. Dizziness is a common side effect of many medications and can also occur due to drug interactions when taking multiple drugs. Check with your doctor or pharmacist to ensure all medications are necessary and will not interact negatively with each other. Nerve pain and poor vision could inhibit your body’s natural ability to balance. Do you have poor sensation in your feet or nerve damage courtesy of neuropathy? Those important nerves send signals to your brain telling you how to balance and move reactively to your environment. Without these signals, you are at a higher risk for falls. Vision deficits also heavily contribute to fall risk, as your vision is the largest single sensory contributor to maintaining your balance. Eye care is crucial in preventing a fall. Poor environment sets you up for disaster. That cute throw rug, poor lighting or a slippery tub could all lead to a fall. Take an honest look around your home environment to see what simple changes you can make to increase safety in your home. If you frequently get up in the middle of the night, a nightlight is essential. In addition, ensure all electronic cords, books, and decor are out of walking areas prior to going to bed each evening. If any of these risk factors apply to you, it means you are at an increased risk of falling. But don’t worry! Although some of these factors are beyond your control, there are several actions you can take to reduce your risk for a fall! Balance and strength (which is necessary for good balance) can be improved, even if vision or sensation is impaired. Balance training is offered here at HARTZ Physical Therapy to keep you confident and stable. Our therapists are trained to push you beyond your limits while maintaining your safety at all times. In addition, our balance master is a unique machine that can aid in training you to react to a variety of situations. Free balance screenings with the balance master are available at our Lancaster office on New Holland Avenue. We would love to assist you with your balance goals, keeping you safe without worrying about the possibility of a fall. Source: “Home and Recreational Safety.” Centers for Disease Control and Prevention, Centers for Disease Control and Prevention, 10 Feb. 2017, www.cdc.gov/homeandrecreationalsafety/falls/adultfalls.html.